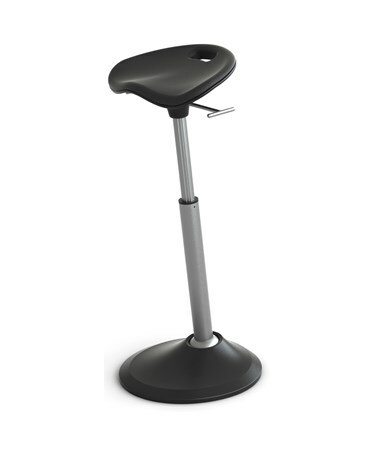 Adjustable height of 25" to 35"
The Safco Mobis Seat by Focal Upright is a stylish seat that also enhances the work experience and offers the freedom to move throughout the workday. It is outlined with non-slip, easy-to-clean, contoured seat cushion which helps reduce the body’s pressure points. 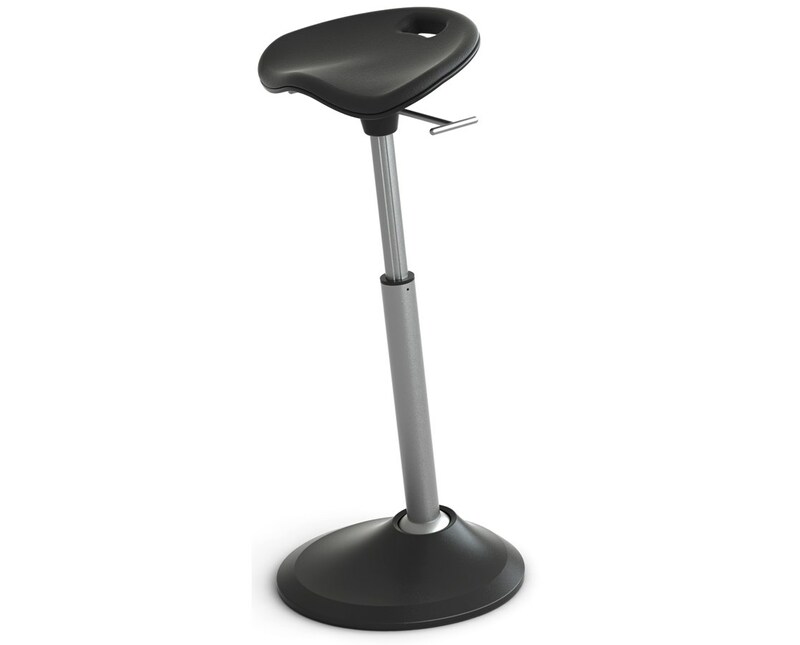 This seat Upright has an ellipse-shaped base with a non-slip rim that gives stability for active postures. It can also hold up to 300 pounds of weight. With its pivoting seat leg and adjustable height up to 35 inches, this Mobis seat will surely inspire dynamic movements to keep users active throughout the day. It supports leaning posture and encourages a hip-to-torso range of around 130 to 135 degrees, providing less pressure on your spine and connecting muscles when compared to standing. 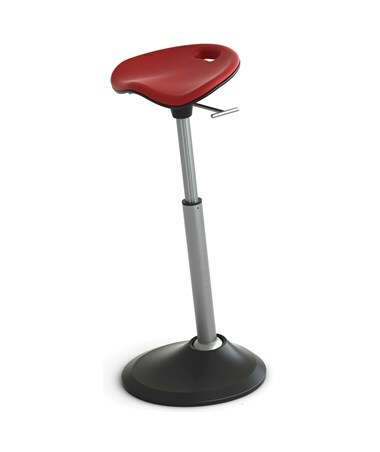 This ergonomic seat has a fiberglass-reinforced nylon seat pan with an EVA foam seat cushion, a powder-coated, anodized extruded aluminum pivoting seat leg that is steel gas piston cylinder, and a brass and high-carbon steel leg pivot joint. It also has a minimalist design and includes a built-in handle for easy portability. The Safco Mobis Seat by Focal Upright is available in different colors. Please select your preference from the drop-down menu above.